The color of metal provides aesthetic strength to a space; metal, typically in silver and gold tones are associated with the words sleek, high-tech, modern, ornate, sophisticated, glamorous and elegant. All of these describe Lantic Colonial, Porcelanosa company’s newest line of Metallic mosaics. Lantic’s metal mosaics are made of steel or aluminum and are available in square, rectangle and even a recently popular hexagon shape. 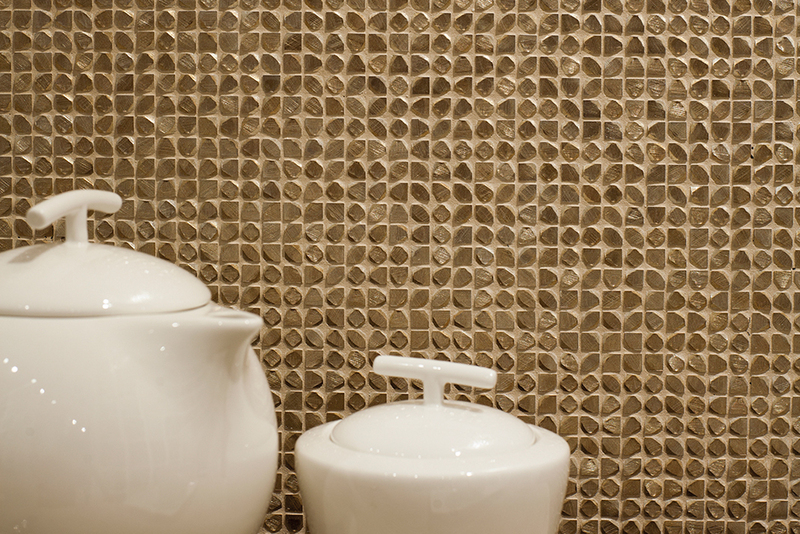 Metal mosaics are used commonly as backsplashes in the kitchen due to their much needed durability. With their different colors and finishes they are alluringly versatile throughout many design functions. 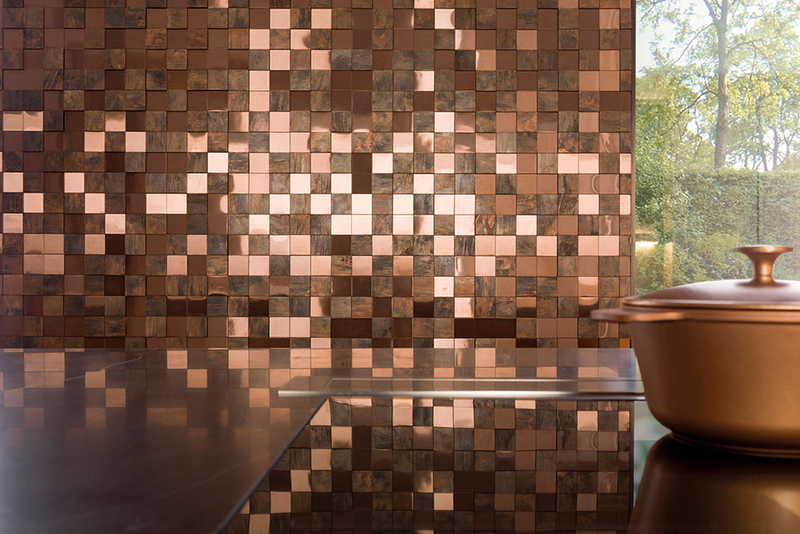 Metal mosaics can be used independently or in conjunction with any of Porcelanosa’s wall tiles, in just about any application; Inside, Outside and Shower walls. 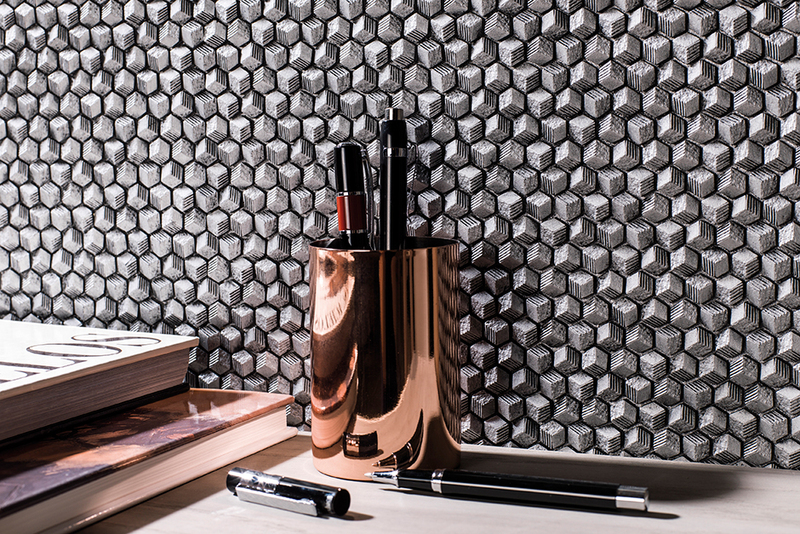 One of Porcelanosa’s most popular metal mosaics is the Metal 3D Cubes collection that pairs a matt and mirror finish together, providing an interesting focal point that reflects light and can help to make a smaller space look larger. 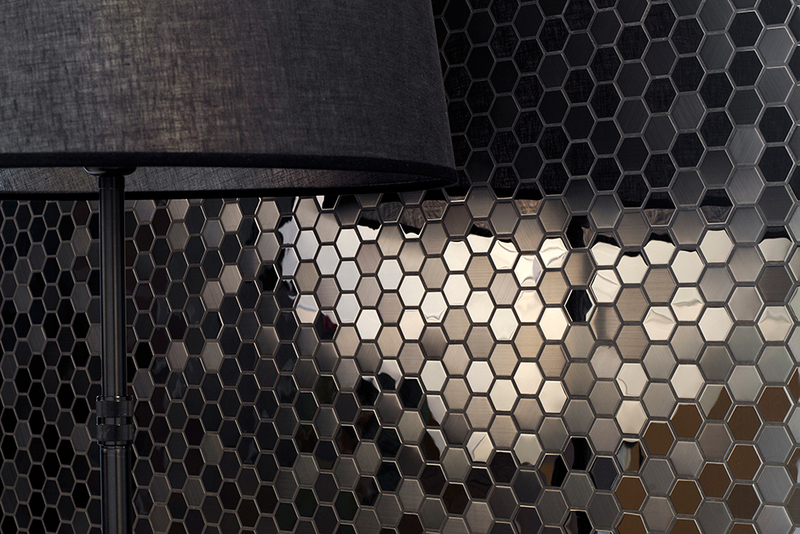 Additionally, the Gravity collection, available in both a silver and gold metal, provide a small square or hexagon mosaic with matte finish, whereas the Adagio collection provides the same size mosaic in a super glossy format in either a hexagon or more unique trapezius shape. Are you as mesmerized by these beautiful mosaics as we are? Watch the video below that guides you through the installation process of a Porcelanosa metal mosaic.